Seriously, who has not heard of Chip and Joanna Gaines and their show, Fixer-Upper on HGTV? It’s amazing how the couples new home improvement and decorating show has taken off and become so popular here in the US. Honestly, as a person who lives here in Waco, it is quite amazing and something we locals can be very proud of. They are a loving, Christian couple involved with their family who are exactly what they portray on TV as they are in real life. How exciting to hear that a local couple was chosen to do a pilot for the Home and Garden Television network. We first learned about in an article Joanna wrote in a local magazine, Wacoan, in which she has been a contributor for several years. The pilot was a hit and their search for homes to feature on the show began. Their show, Fixer-Upper seemed to be a hit from the time the first show aired. It continues to grow in popularity as it has now entered in its second season. I’m not sure that anyone in Waco could ever have imagined what their show would mean to our city. Besides the renovations of some run down houses, The Gaines have shed a very positive light on Waco on national TV. Something that is good for everyone here. Fans from across the country want to move to Waco so that they too may be able to have a home renovated and designed by the talented couple. I personally did not realize the ‘Fixer-Upper” effect on Waco until Joanna announced a Fall Workshop on her Instagram account. It sounded like it would be a fun evening in Waco, so I bought a ticket. Good thing I didn’t lolly gag around because about 700 tickets were sold in just a few days! Friends of mine couldn’t get tickets. Even my friend Debby that owns a landscape company that does some of the work for the show couldn’t get a ticket to be able to go with me! Let me tell ya, that is amazing for our community. We are procrastinators when it comes to deciding to buy tickets for events here. When time came for Joanna’s workshop on that Thursday evening last fall, I was shocked to see the long line that wrapped around the Phoenix Ballroom building. Everyone was excited and chatting in line. My goodness, there were people in line from all over the United States! Other than people working the event, I only recognized one other person from Waco. I’m sure there were more but by-golly, everyone I talked to was from somewhere from out of town. People drove and FLEW into Waco on purpose for this event! A lady came all the way from Seattle, Washington! Seattle! 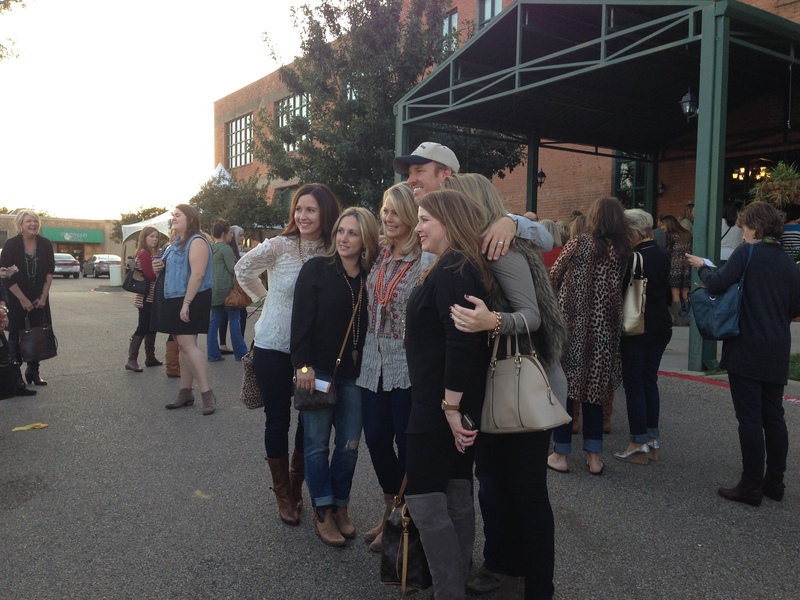 I’ll tell ya, thats when I knew for sure we had some new celebrities in Waco, Texas! The workshop was a lot of fun. Joanna talked about how Magnolia came to be. I remember when she was starting out by selling children’s clothing downtown at a popular shop called Spice. She moved into a space across from mine in the store. She had some of the cutest merchandise. She told us a cute story about how she would take decor items to try to sell in her dad’s tire store and how one day she went in and the item was finally gone. She was so happy to finally sell something but then later found out that her dad had actually purchased the piece. What a great daddy! 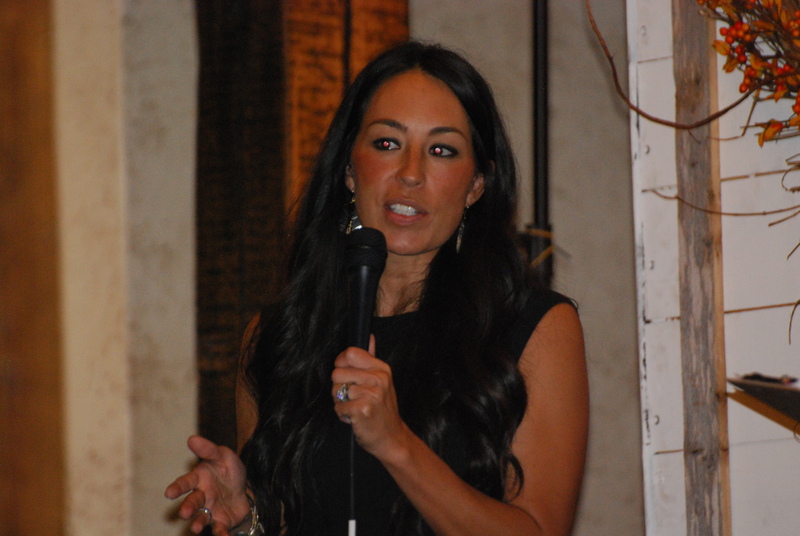 She talked about meeting Chip, their family, Magnolia’s growth, their television show and their faith. She spoke about God whispering to her and said, “When God calls you to do something, he will give you the strength and capacity to do those things.” Very inspiring! 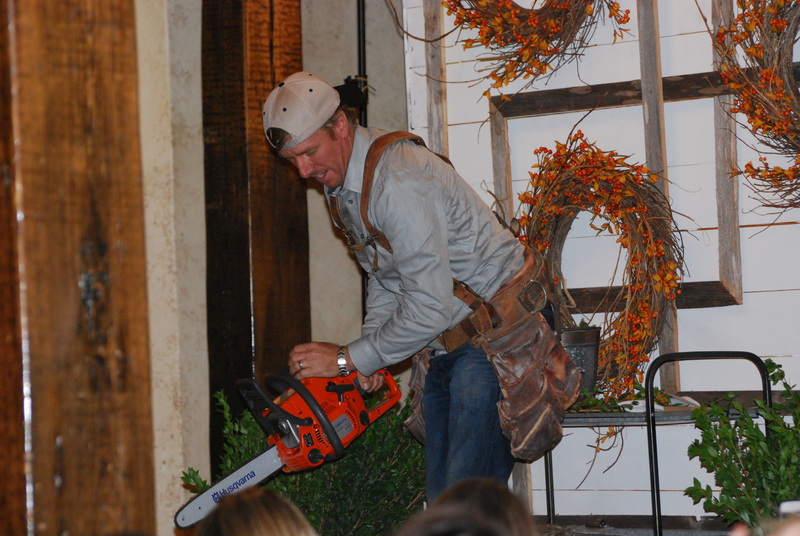 Then Chip took the stage with a chain saw! Yep, I said chain saw! He preceded to use it to cut a tree limb to use in decor. He was as hilarious as can be! Reminded me of Tim the tool man for a hot second! Then it was our time to follow along with Joanna working on a craft project. Nice evening for sure. Chip Gaines entertaining the crowd at their workshop. We love them and their show! For those of us that live in Waco, there’s a different kind of excitement in watching their show. We all love seeing the landmarks and businesses along with some of our friends and their Fixer Upper experiences. “Look! That’s Devan and Hannah!” Or Marla, or etc, etc! Pretty darn special. Everyone here loves it and wish Chip and Joanna even more success! As if you could possibly fall in love with them any more, have a look at Joanna’s testimony she shared at The Gathering held at Baylor University in Waco …. Here are a few of the places you see on the show in case you would like to visit. I won’t list their farmhouse for privacy reasons. Sorry. The little shop on Bosque: Magnolia Market is located at 3801 Bosque Boulevard, Waco, Texas 76710 This cute little shop will be moving downtown once the silos open on October 30, 2015. 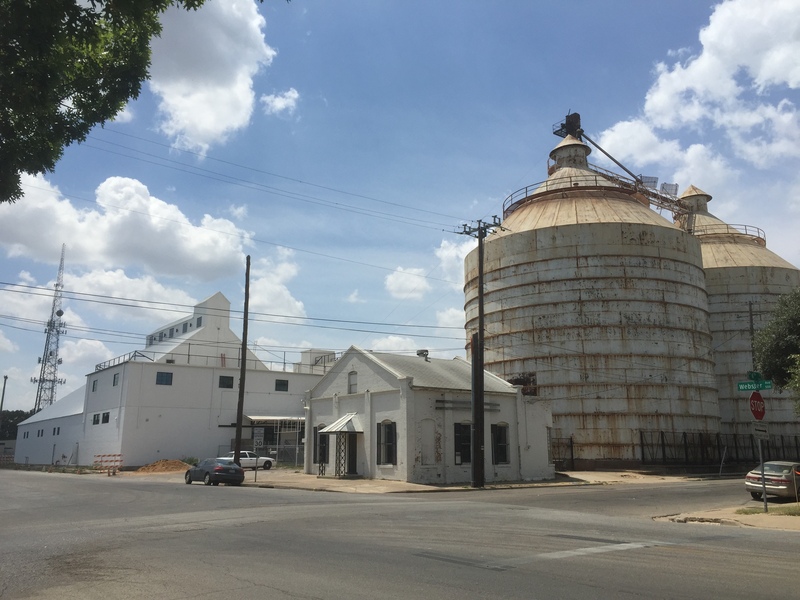 Chip and Joanna Gaines’ ‘Little Shop on Bosque’ will be moving once the Silo project is complete. Harp Design Company: 808 N. 15th St, Waco, Texas 76707 They have a cute shop to visit and you can even see their house that was on the show. My grandparents lived right down N.15th Street, so it was super fun watching their home’s transformation. Stars Over Texas: Our friend Jimmy Don’s metal workshop on Hwy 317 in Crawford, Texas. He isn’t open with a ‘shop’ anymore because of all the signs he is making for Joanna. He did some of our metal work in our restaurant. We recommended his work long before JDH became a television star! Great guy! 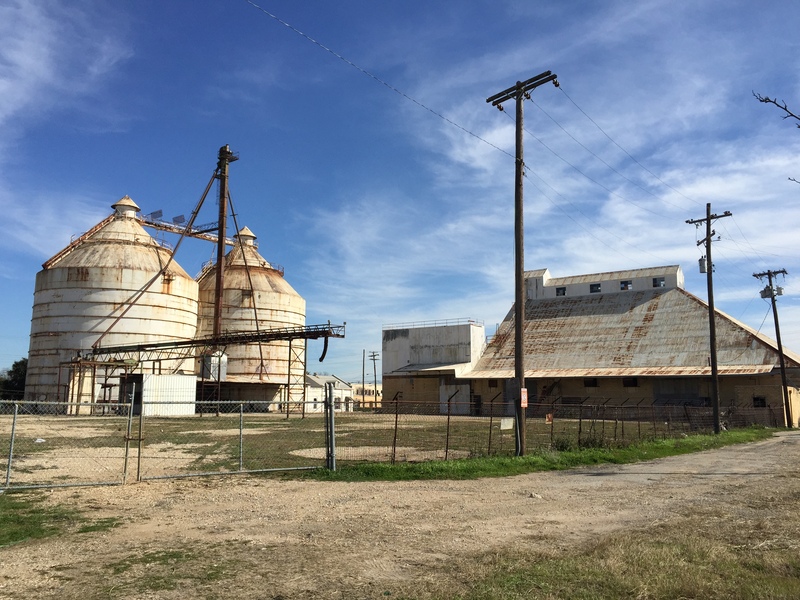 Magnolia Silo Project: Update!!! The Silo’s are OPEN now!! They held a soft open on Monday, October 12, 2015! Time to shop! Future home of everything Magnolia. They are renovating the old Brazos Valley Cotton Oil Company site at 601 Webster in downtown Waco. The complex will house their offices, retail space, a monthly market and daily food trucks will be on the property. We are supposed to get a glimpse of the ongoing work during season two of Fixer-Upper. Grand opening is slated for October 30, 2015 with shopping all day and a big party featuring a Johnnyswim concert in the evening. Scroll down for more silo photos. Magnolia Silo Project in downtown Waco. Future home of all things Magnolia. Waco is a great place for shopping! LaSalle Shops: 2223A LaSalle Ave, Waco Open Tue-Fri 10AM-6PM, Sat 10-5PM, Sun 1-5PM Lots of antique shopping and several more shops to visit along LaSalle. This was the very first store I recognized on the show. A glimpse inside the Cedar Chest Antique Mall. This place is an antique lovers dream! 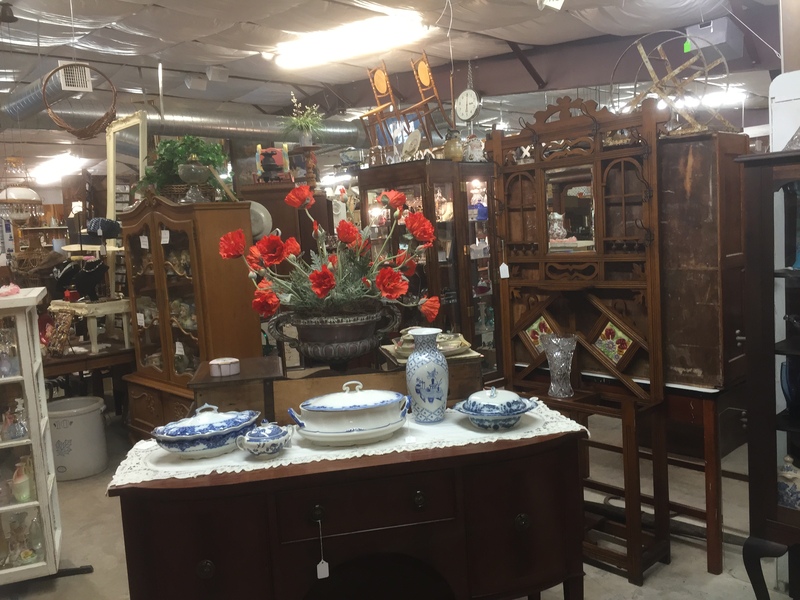 Cedar Chest Antique Mall and Market: 31707 W. Hwy 84, McGregor, TX 76657 Open Mon-Sat 9:30AM-5:30PM, Sun 1-5PM Really huge place with antiques galore! 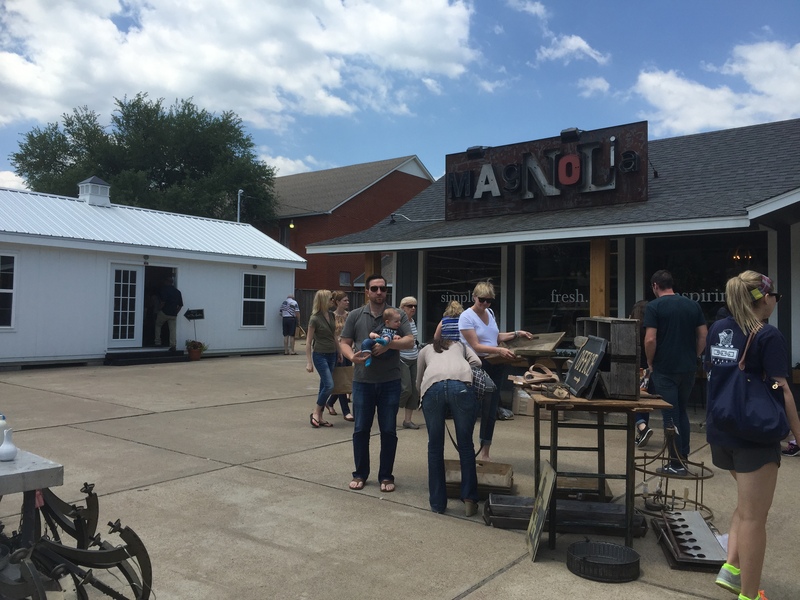 Make sure you reserve plenty of time to go through the biggest antique store in the Waco area. My favorite place to shop! On top of that,there are plenty more antique shops in the area. Another right next door and several in the downtown area. You really should take time for breakfast, lunch, or dinner and my famous pie (shameless plug!) at our restaurant, The Coffee Shop Cafe (past the light on Hwy 84) then drive by the awesome home at 323 Madison that the Fixer Upper crew are working on for season three. You’ve seen a few sneak peeks on Joanna’s Instagram page. A sweet friend of ours lived in this charming 1850’s home that includes a working elevator and a stairway that is super narrow. Its future, after renovation, is to become a B&B. You could possibly come stay in a real Fixer Upper very soon! So cool!! Don’t ya think!!?? Update about the B&B: Joanna publicly confirmed the B&B and that the reveal had taken place on her Instagram last night (Nov 16, 2015) and we couldn’t be more excited! She posted a photo of the gorgeous staircase in the open living area! I’ve observed the renovation and even had a blessed day helping my friend with a project at the house one day!!! EEK!!! So FUN! Be sure to check back later because I intend to be respectful and not post photos, etc until Jo, Chip or HGTV share more about it. I know, I know… There are pictures all over Facebook, but I’m going to stick to this. Be sure to watch the Christmas special on HGTV premiering Dec. 22, at 9 p.m. ET/PT! This is a Fixer Upper masterpiece! 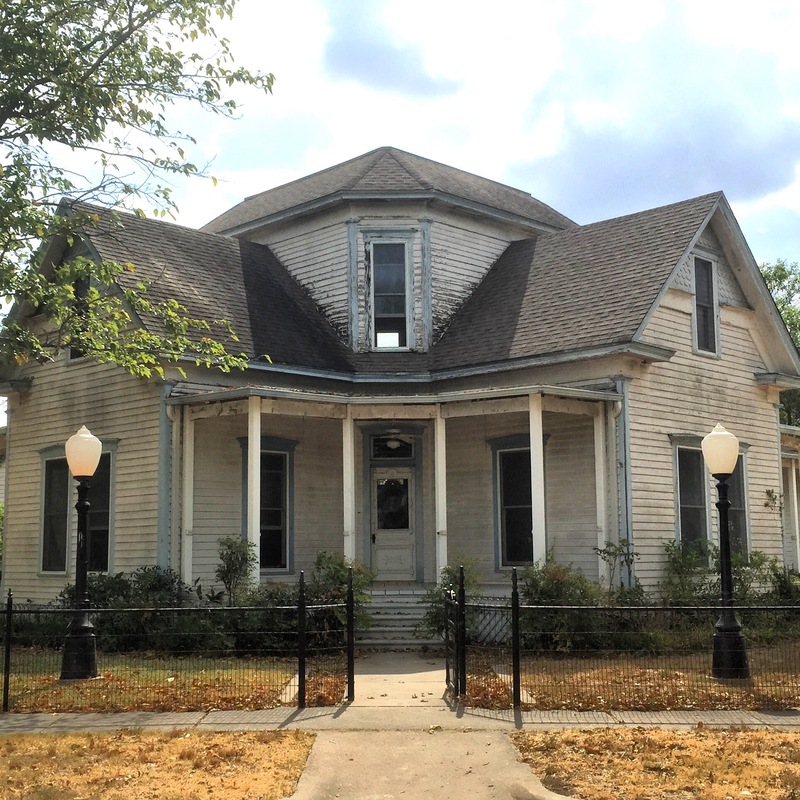 Charming home in McGregor (just outside Waco) that you’ll be seeing on season three of Fixer Upper! Laverty’s Antiques: 600 N. 18th St, Waco This one would be really difficult to visit if you are from out of town. It was kind of a secret reserved for those ‘in the know’ until they were on Fixer Upper. They are only open a few days a month and the only way you know when is to subscribe to their emails at Lavertysemail@gmail.com. You can always drive by and take a look through the windows where Chip found his cool tool belt with suspenders in season one (as seen in my photo at the top of the page. HaHa!) Wasn’t that a great episode!? He’s so funny! Jute Designs is expanding and moving into their new home this fall across the street from the Magnolia silos in downtown Waco. They are renovating the old Percy Medicine building at 8th and Webster. 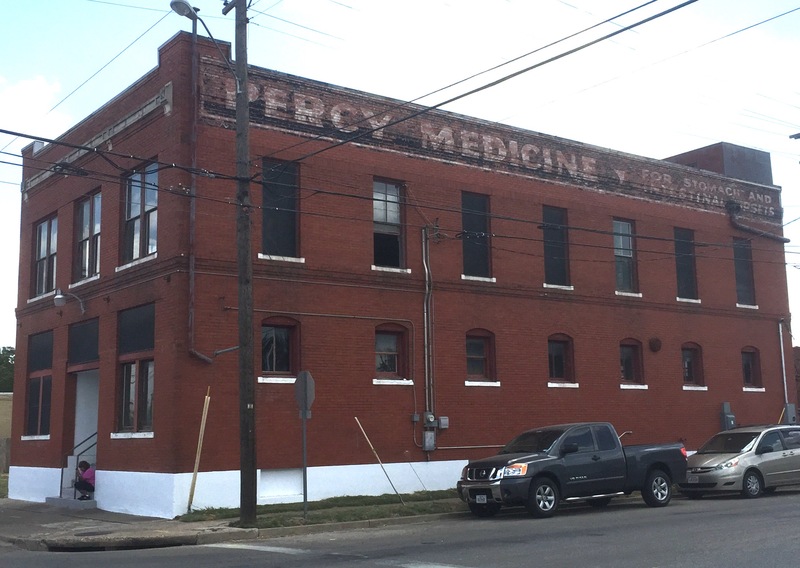 Built in 1908, the two story brick jewel was the manufacturing complex where Percy Medicine was made. My grandmothers cure for upset stomachs and mine too when my kiddos were little. With their new industrial chic building also comes their new name, The Findery. These ladies stock some fabulous furniture, home decor, Annie Sloan Chalk Paint, cute bags and various other items like my favorite travel tote! You can follow along on their Facebook page. Can. Not. Wait. Till. They. Open! Meanwhile, visit them inside Spice Village at 5th and Mary across from the Hilton in downtown Waco. Christi’s: 1023 Austin Ave, Waco Open Tue-Sat 10AM-5PM This is a magical shop owned by Waco’s own, Christi Proctor who was a designer on TLC’s “Trading Spaces!” Upscale decor and of course, design services! She has her own line of bedding that is absolutely gorgeous! Papillon Antiques: 1025 Austin Ave, Waco Open Tue-Fri 10:30AM-5:30PM, Sat 10:30AM-2:30PM. Right next door to Christi’s is this upscale shop featuring French antiques and decor. Honey’s Home+Style: 1700 Austin Ave, Waco Open Tue-Sat 10:30AM-5:30PM A great mix of antiques (including French) and new home decor. More silo photos. The renovation is coming along nicely! Can’t wait for them to be ready and open this fall! I love dreamy stories! And couples that work and play together. Enjiy! I know that this post is a little old; but, you’ve updated it too. I just wanted to thank you for listing things because I’m thinking about stopping for a day or two at Waco on the way to Denton in October. Thank you for your comment! It is an older list, but it is still a good one! Chip and Jo have filmed several more times at Cedar Chest Antiques and their expansion that is in walking distance from them at Cedar Chest Too will be on season 4. I’ve made a lovely map that includes other places to visit around our little town of McGregor that will be available on their counter by the time you are in town. It includes Jimmy Don’s new store and shop that is being built in Crawford. It won’t be open, but you can drive by and be one of the first to see it. The Silos second Silobration will be October 6 and 7th and will be held all day with more venders being included. There will be a concert both evenings with Johnnyswim and I understand Chip and Jo will be joking them on stage again this year. Last year was a blast! I’m sure they will be working on making this one even better! I believe that tickets for the concert are still available online at the magnolia website. (We will be there on that Thursday.) The same weekend, The Findery will be having a huge sale and special events through the evening. Great place to shop and it’s just a block away from the Silos. I’ll try to get downtown Waco and take a few more photos and make an updated post very soon! Hope you enjoy your trip!